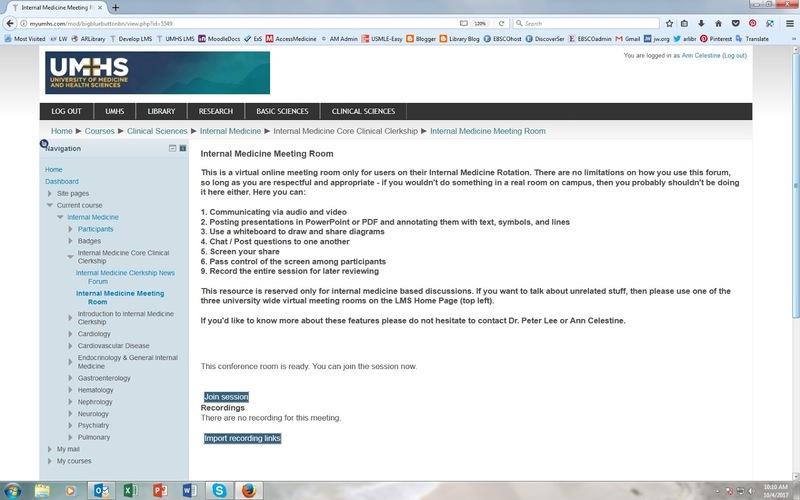 Enhance your small group study, meet virtually as a class, or just communicate with each other, using the open online meeting tool provided in the UMHS LMS (Learning Management System). These virtual meeting places are open and available anytime, in each course for the use of those in that course, as well as at the institutional level. 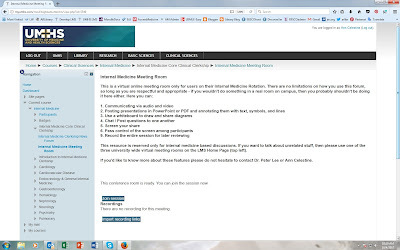 Three different meeting 'rooms' are available on the front page of the LMS for anyone at UMHS to meet together. Drop in anytime or arrange a time for a group to join in together for academic discussion, study, and information sharing.